Big Woods Speedway calls historic downtown Speedway, Ind. 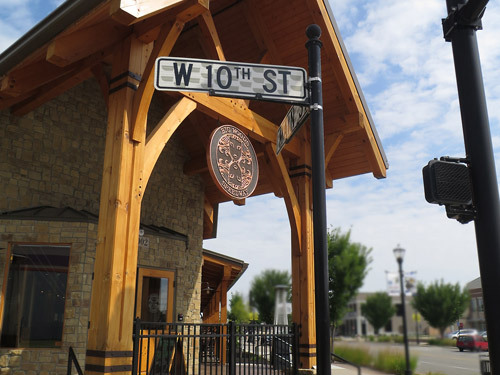 home and is the fourth and, so far, largest Big Woods restaurant to open in Indiana. At more than 7,000 square feet, our iconic timber frame building offers family dining space, an oval-shaped main bar reminiscent of Speedway’s world-famous race track, a separate bar area that hearkens back to our original Nashville brew pub, patio seating, an outdoor beer garden, and a second floor private event bar. 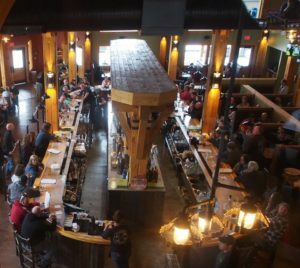 The large space also allows us to merge the Big Woods brew pub and pizza menus — making it unique within the Big Woods family. And, with more than 50 taps from which to pour, Big Woods Speedway showcases a broad selection of Quaff ON! Brewing Co. ales alongside other craft favorites from Indiana and the greater U.S.
Our full spirits and cocktail menu is anchored by Indiana-made Hard Truth Distilling Co. spirits. Bring the whole family for an unforgettable experience today!